The elegant building of Grand Tiara makes your stay in the city a pleasurable one. 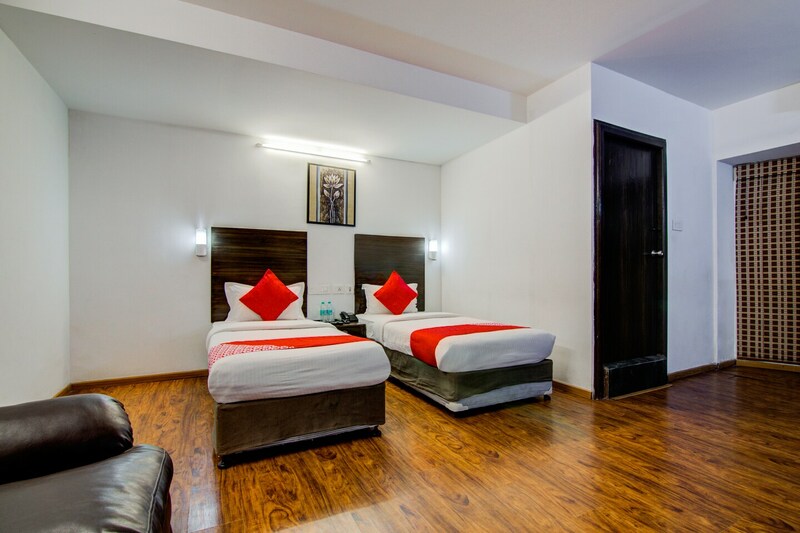 With beautiful wooden decor, the spacious rooms contain modern furniture and are loaded with basic amenities making it a very comfortable place for the guests. The pretty wall paintings and the beautiful curtains add to the charm of the rooms. The hotel provides a beautifully designed in-house restaurant, a dining area, parking, and laundry facility, and also a conference room for the guests to attend the local functions or seminars. They have power backup facility making it a convenient place for the guests to stay in. They allow card payments and have a CCTV camera for the security of the guests.